even the constant use of the very glyphs show that! and even the Book of Thoth [upcoming], she but describes several different aspects of the same mosaic. to go install those in his own built mud-brick house. This is exactly, what the book of AM-TUAT is about. 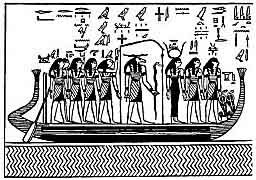 – and in fact, all of the other books, and entire ancient-egypt as a whole. to build by speech, to create this reality by speech. and, at the moment, we live in the Egyptian one: built with stolen concepts. constructing the Self [or Ego] as TCHES, "serpent TCH + adamite soul S"